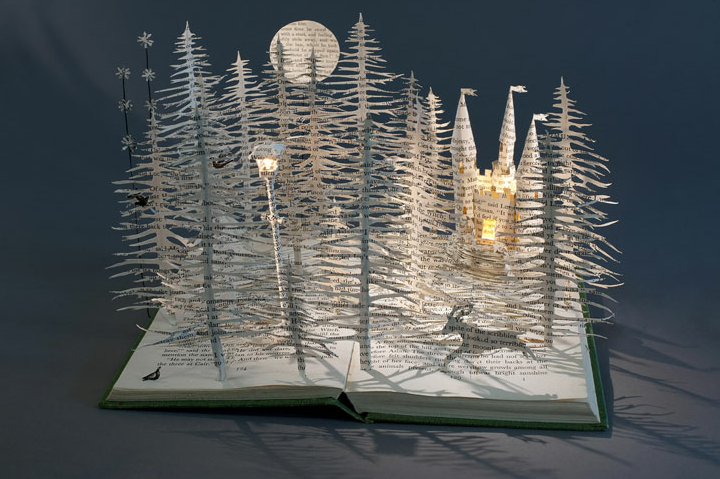 books always create new worlds, but what else can they create? 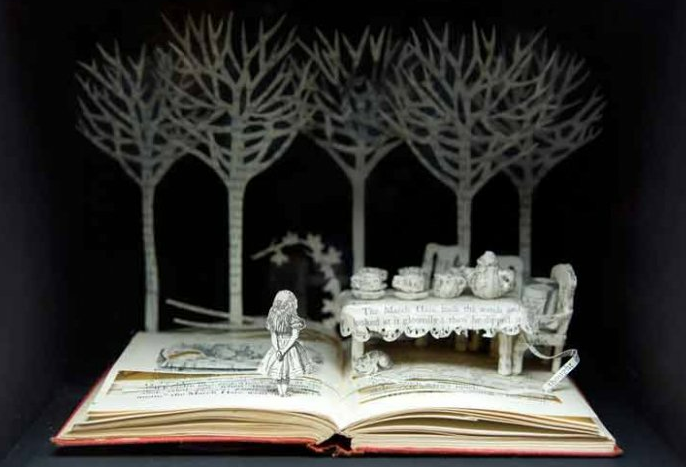 born in Sheffield UK, she like any kid growing up near the forest or woods spent allot of time playing in them. although she firstly concentrated in textiles, little by little she has turned to paper for her material of use. fairy tales are mostly the books she chooses to work with, especially those who have little girls, since she likes the contrast of a fragile little girls in setting that will show their worry and wonder at the same time. 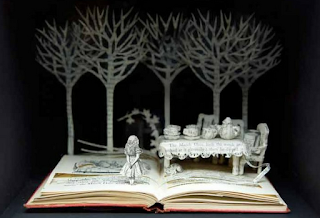 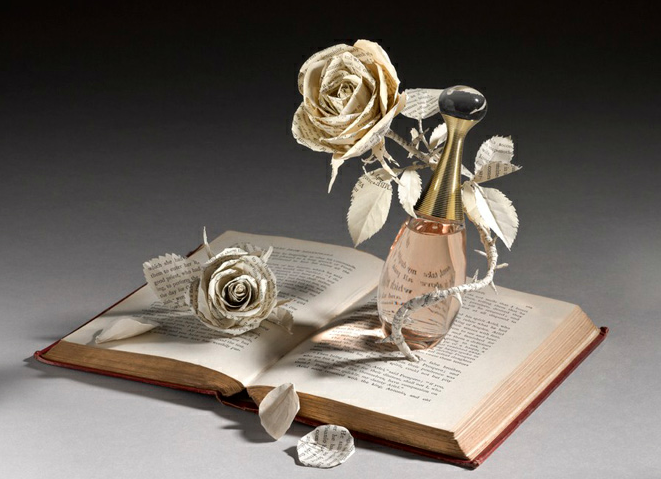 her work is delicate and i enjoy her 3-d creations from the book .